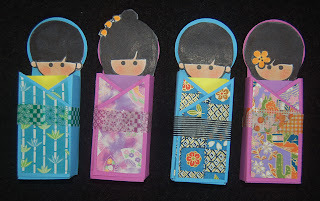 As soon as I saw the Dandelion Design Kokeshi Doll head stamps, I knew I had to get the set. 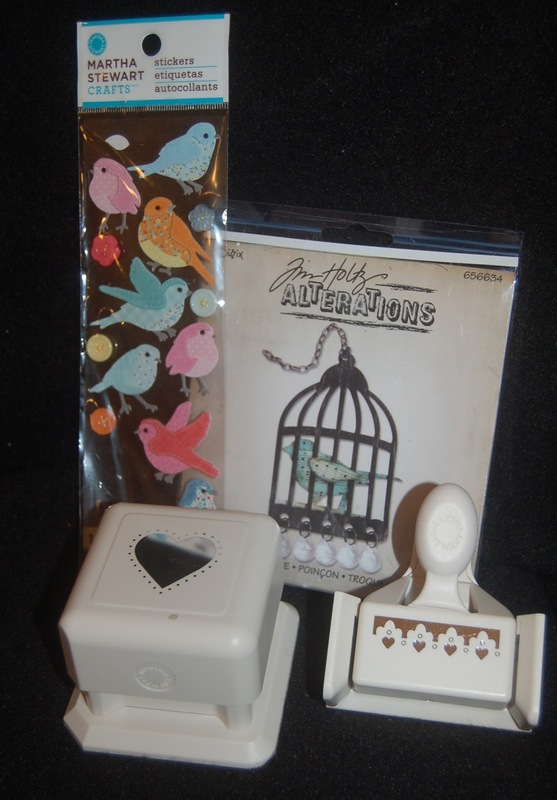 I bought mine from Ben Franklin Crafts and loved that it included the pattern for the candy holders. Because I try not to be a candy pusher, I found myself trying to come up with items to put in the boxes. My favorite filler is Post-It notepads. There are some that will fit as is but since I only had the regular size ones, I cut them in half and stacked them. I followed the directions to assemble the box except that I didn't glue the side edges of the bottom flap. and used washi tape to close the kimono. 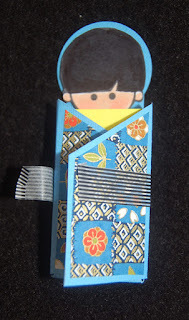 By wrapping the washi tape like a belt around the box and ending so that it stops on the washi tape on the other side of the kimono, you will be able open and close the box easily. (Fold the loose end of the tape under so it is easy to lift up.) Also, I was bothered by the look of the doll head in the back because the Copic ink bled through the cardstock, so I covered it up with a punched circle upon which a stamped circle (Dandelion word stamp from previous year) was glued. 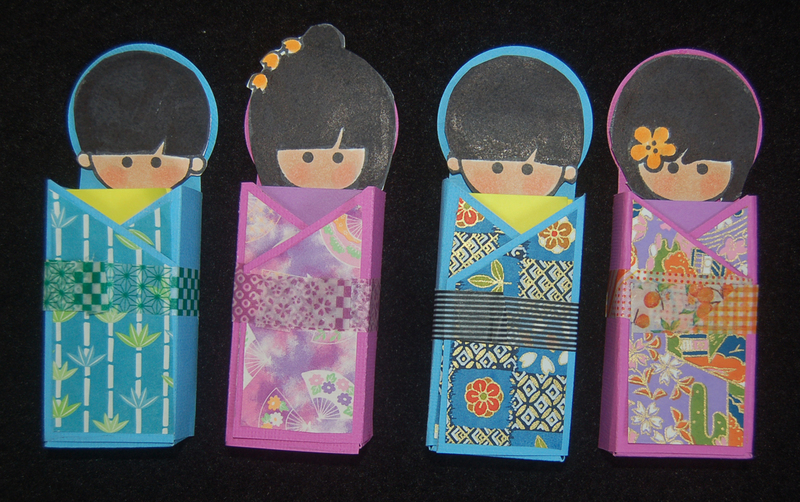 These thoughtful little kokeshi doll note holders are great for passing out to office co-workers. They can also be filled with lip gloss or hand sanitizer (the Bath and Body Shop tube fits), a shaped paper clip container (from Celebrations), or mint dispenser. Have a Happy Boy's Day (March 3rd) and Girl's Day (May 5th)! Be happy and craft something fun today. 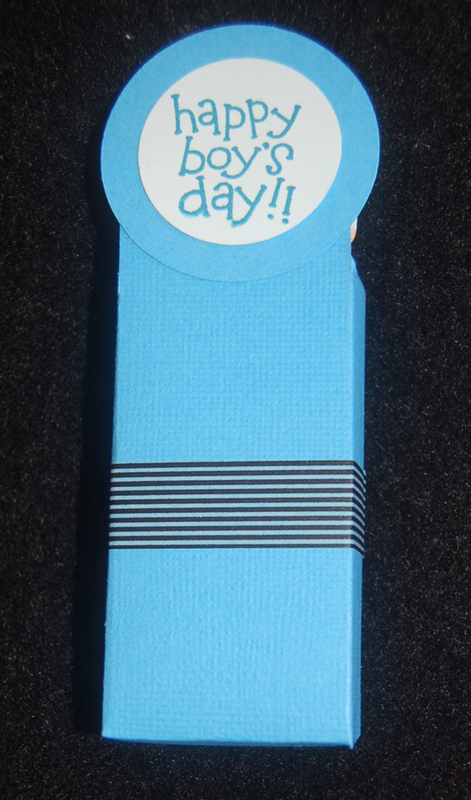 When I saw this Funny Bones rubber stamp (just the words) at Ben Franklin Crafts, I knew that I had to purchase it. 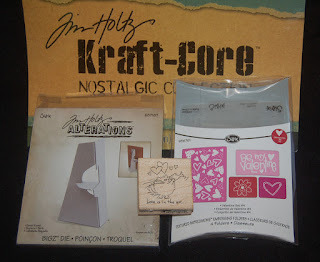 ( BFC has lots of funny and inspiring word stamps from this company.) This stamp so addresses my magpie ways. 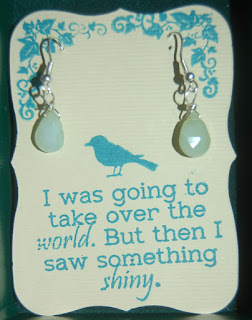 By adding a few other small stamps onto this die cut label, I knew it was the perfect piece to mount my handmade earrings. 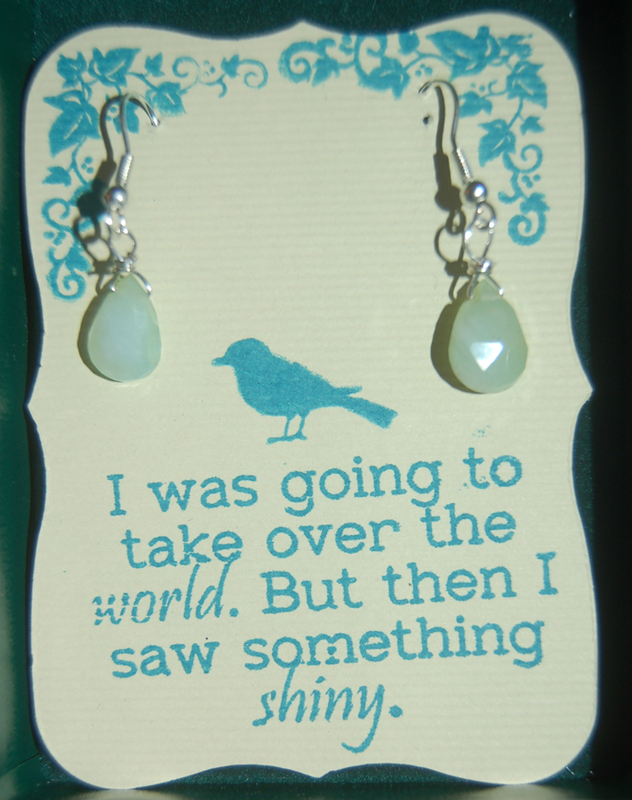 This is a case of the cart coming before the horse, because I made the wire-wrapped blue opal earrings to fit the label. Now if I can concentrate for awhile and make a lot of these I may actually be able to sell my crafts. Nah, there are too many shiny distractions LOL! Hope you enjoyed this post and will return again to see what I've been creating. Please leave a comment if you have a moment to spare. I love hearing from you. 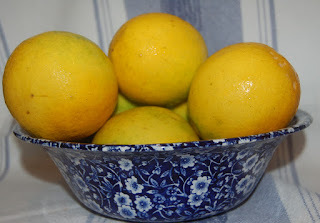 For the first time our little 3 ft. lemon tree had a crop of fruit. It was a really good yield so I've been thinking about what to do with the fruit. Of course I'll make some lemon curd and lemon chicken which are family favorites. 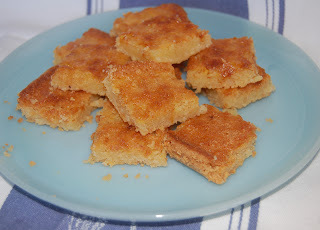 To start, I decided to try revising an old lemon bar recipe so that it won't have as much sugar or use white wheat flour. (We are trying to lower our blood sugar numbers.) 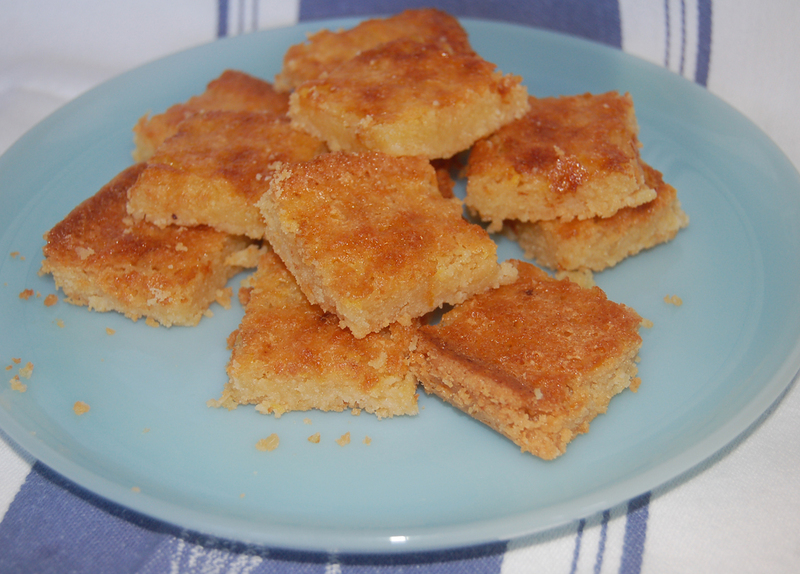 The lemon squares turned out great tasting but I was hoping for a denser, shortbread-like crust layer. Yum! I guess I need to do more experimenting. LOL! 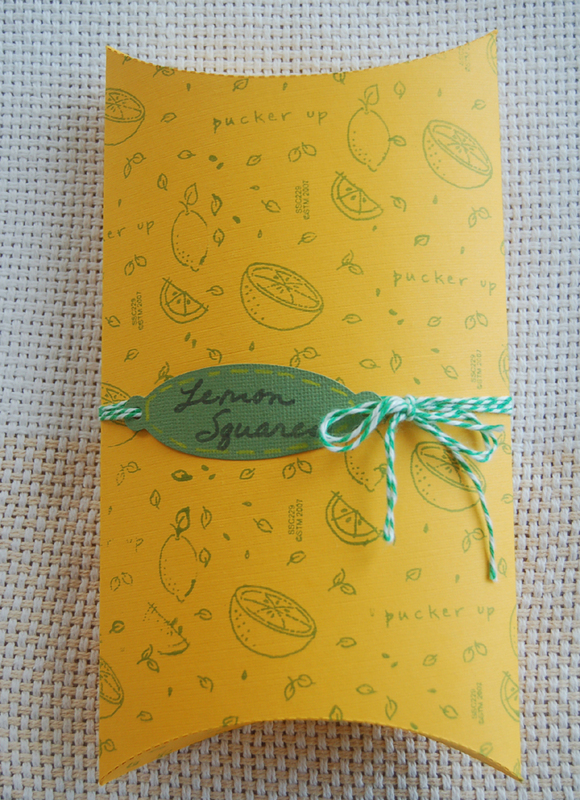 Anyway, I made a pillow box container and gave some lemon squares to a neighbor who likes lemon flavored foods. 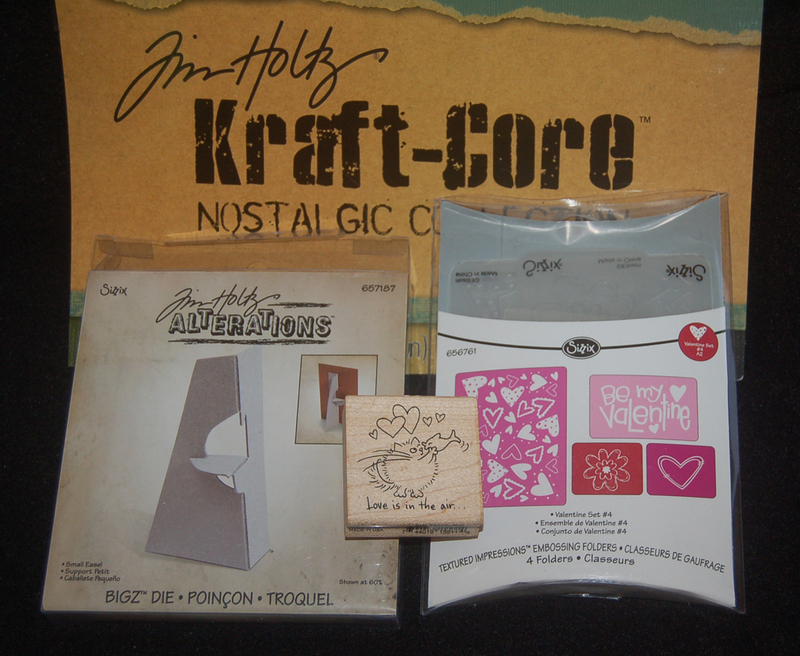 Before folding the die cut box, I stamped a lemon design (old Stampendous set) on it. If you don't have the Big Pro machine or pillow box die, you can use the machine and die at Ben Franklin Crafts if you buy their card stock paper. 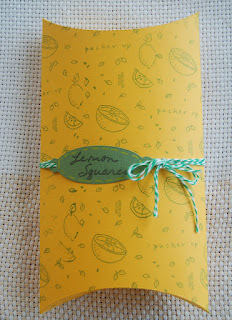 The label for the box was made using a Sizzix die (Bookplate and Tags) and was tied on with twine. When life gives you lemons, I hope you'll always be positive and do something to make the world sweeter! This photo frame is for the owner of the cat in the photo. What, you say you can't see the cat? That's because she is curled up in a ball...her smiling face is on the left. The reason 'Venus' (yes, that is really her name) is smiling contentedly in her sleep is because she was adopted from a shelter and now lives the life of a queen. I think Venus (goddess of love) is the perfect subject for my faux leather photo frame with a Stampendous image of Fluffles and the words "Love is in the air". The entire frame including the back brace only used one sheet of Tim Holtz Kraft Core 12x12 card stock. The frame was made by folding an 11 x 8 piece of card stock and cutting 1/2" tabs on three sides. 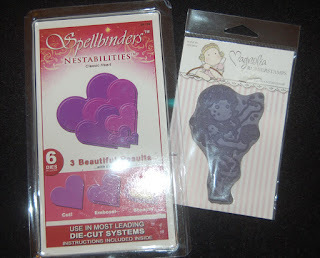 Next the entire piece was embossed in a Sizzix Valentine folder and a heart-shaped opening was cut out with a Spellbinder thin die. The surface of the frame was lightly sanded to bring our the embossed design. 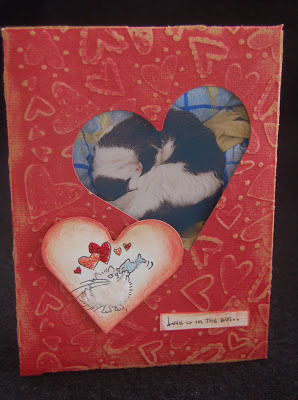 The Fluffles image and words were stamped on white card stock, colored, embellished with Stickles and Fun Flock, and cut out with a die. Finally the back braces (two taped together for more strength) were cut using the Tim Holtz small easel die. Merikan Double stick tape was used to close the frame (after the photo was inserted) and attach the easel frame support. I love how this frame turned out because it is sort of shabby chic which is what life becomes after you welcome a pet into your home. Please adopt a pet ...you'll save a life and receive lots of love in return. I love the charm of birdhouses even though I've never owned one. Our neighborhood birds just nest in the trees. Anyway, while looking though my Sizzix dies for a treat box, I spied the Tall Box with Scalloped Flap Big Pro die (you can probably find an Eclips cartridge that will cut it too) and thought that it could be decorated to look like a birdhouse. (I might have seen this idea on another blog but my mind just files away projects and they pop up sometimes way later.) 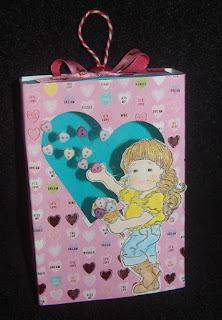 After cutting the box from a Pebbles 12x12 printed two-sided Valentine cardstock (in my stash from last year), I used the Martha Stewart anywhere punch to cut out the heart shaped opening and then a piece of acetate was taped behind it. 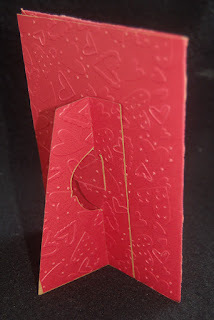 For the roof, I simply measured, cut it out (from another piece of cardstock (the reverse of the same printed design) and punched the edges with an EK Success Valentine border punch. The little bird was cut from glitter cardstock using a Tim Holtz die and gluing on a feather tail. If you don't have that die, a Martha Stewart bird sticker would work just as well. As you can see, the treat box is rather ample for Valentine goodies (non-edible craft supplies will be appreciated by your creative friends).Other than some of the flowers, all the products for this project were purchased from Ben Franklin Crafts. 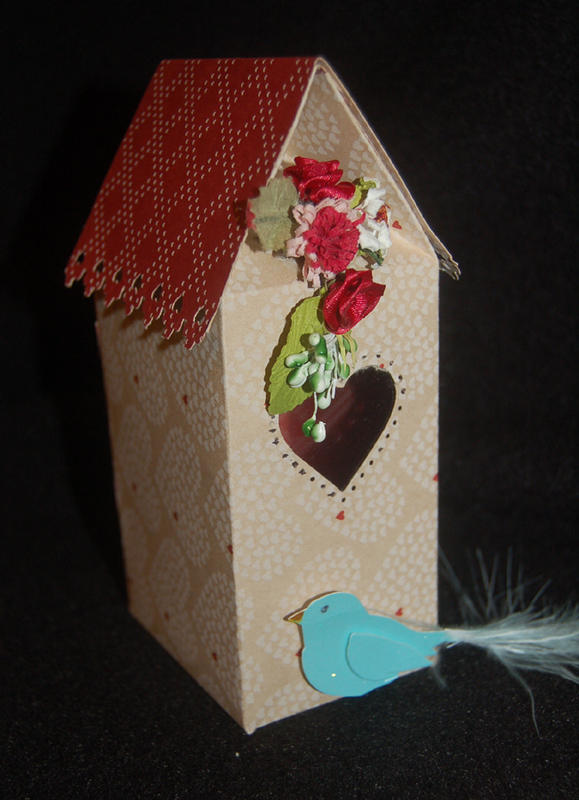 Have some fum crafting Valentine Birdhouse Treat Boxes like this one and please the special ones in your life. Thanks for stopping by to read my blog. I hope you enjoyed it and will visit again soon. Please leave a comment if you have the time.....really makes me smile. When we were dating (decades ago), my husband and I saw the movie 'April Fools' starring Jack Lemmon. Ever since then, a frog is the animal we associate with romance. 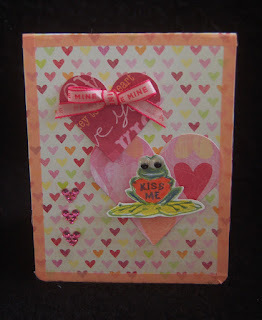 It seemed appropriate therefore, to use a frog on this Valentine card for my hubby. 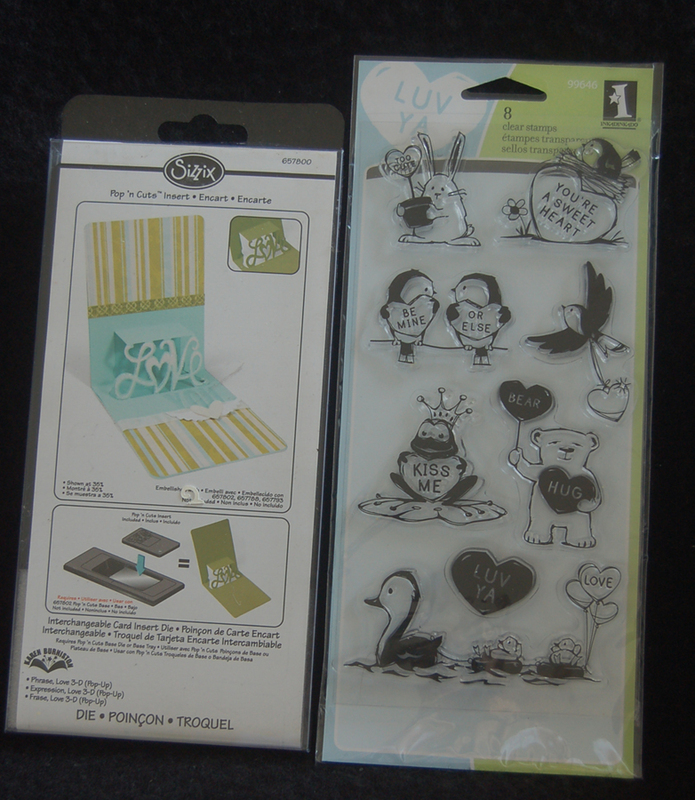 The Inkadinkado company had a great frog holding a kiss me heart in their set of Valentine clear stamps which have a cute, retro look. I cut the crown off the frog on the card front and glittered it for the inside frog. (He became a frog prince after being kissed.) 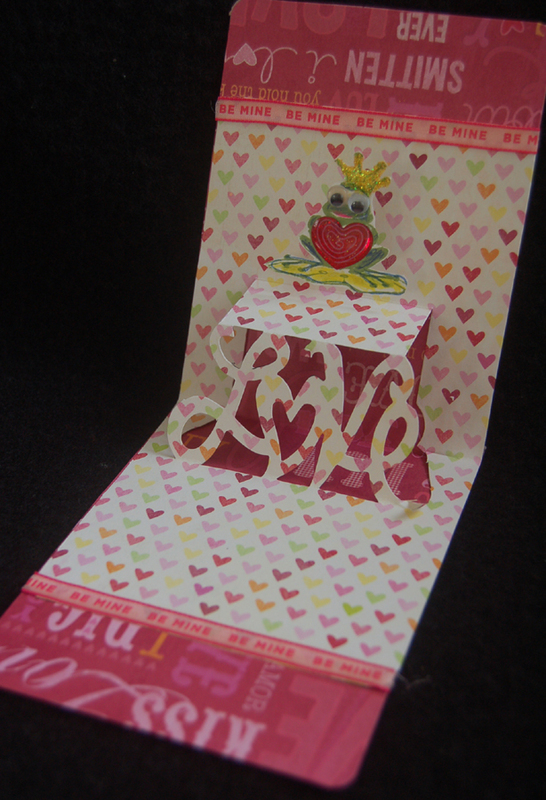 The pop-up 'LOVE' in the card was made from a Sizzix die which fits inside another Sizzix card die. 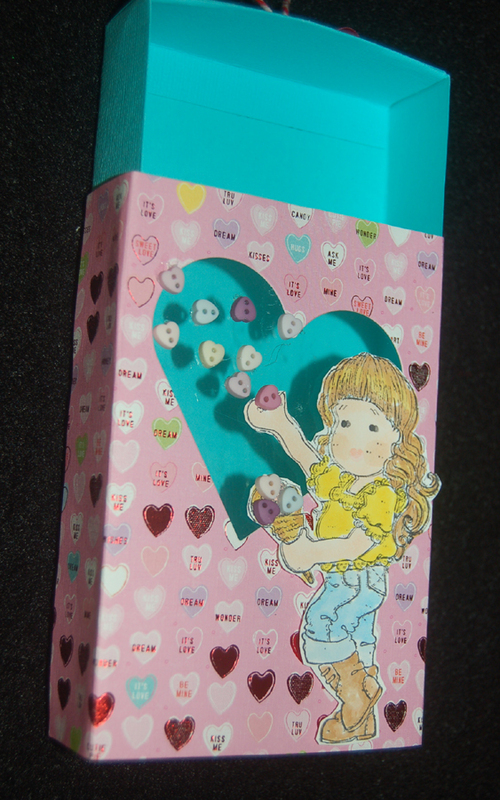 Crystal rhinestone hearts, a large heart sticker, and ribbons were added for embellishments. I think the cutest parts of the card are the googly eyes and the spring behind the inside frog. At the CHA show I made a card which used a wobble spring part. I liked the effect but since I didn't have any more wobble attachments, I made a spring from thin wire (taken out of a wired ribbon) and taped it behind the frog. Resourceful and cheap...ah, thrifty...right? Don't forget to make a Valentine card for your honey, even if he is a frog sometimes just keep kissing him, maybe he'll change....someday. LOL! I couldn't resist the new Bo Bunny and Imaginesce Valentine double sided cardstock papers, even though I still have a stash from previous years. 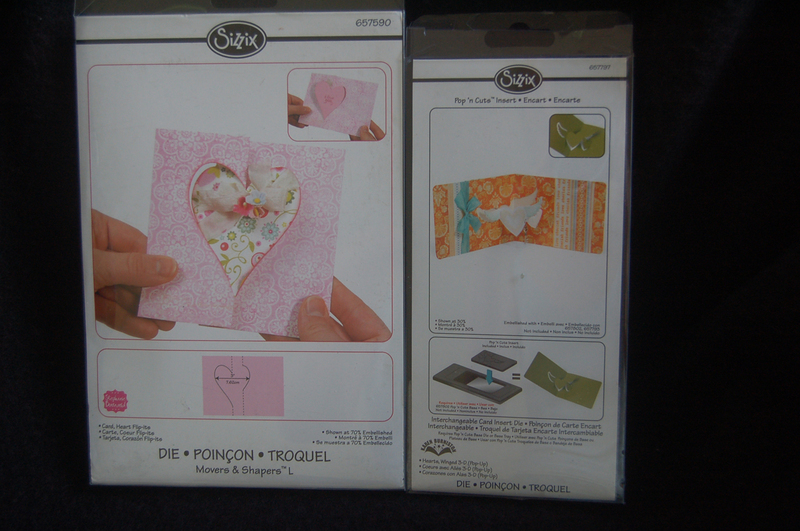 Lots of the 12x12 sheets have heart designs but don't necessarily have to be restricted to Valentine's Day greetings. I needed to make some gift card holders so I decided to use some of these pretty cardstock sheets which I purchased from Ben Franklin Crafts. To simplify construction, I opted to use Sizzix card dies and alter them to include a pocket for the gift card. The first one uses the Card, Heart Flip-Its die. It was simple work to cut the sheet in half and fold over 2-1/4" of the end of the strip. By placing this folded edge just inside the right-hand side of the cutting part of the die, a card with a pocket can be cut out. A little circle punch was used to cut the half-circle in the front of the gift card pocket and the edges were taped down. 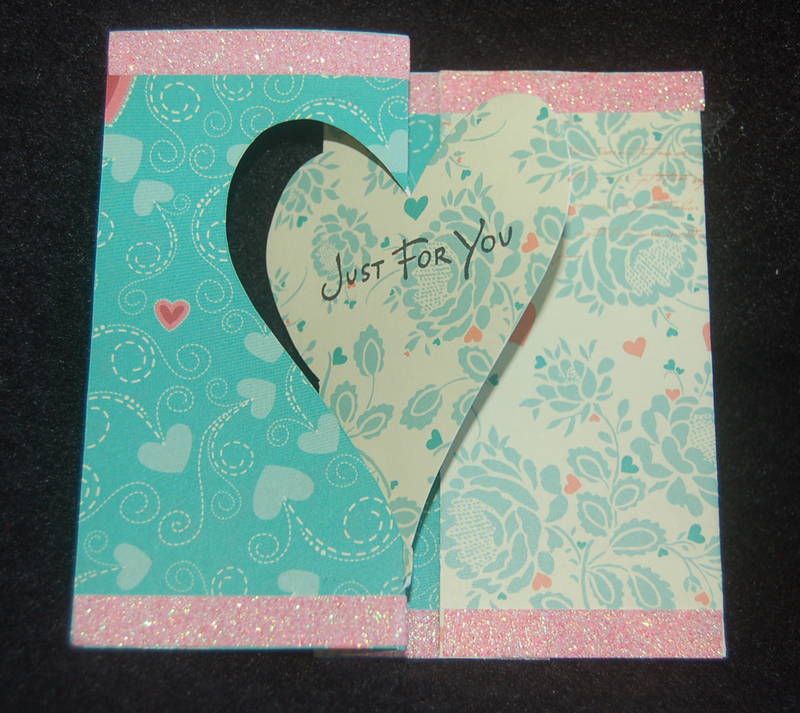 Simple sentiments were stamped on the front and back of the flip-it heart. Because I accidentally tore the bottom of the heart, I used glitter tape (purchased at BFC) to mend it. I like the look and I think it was a 'happy accident". For the second gift card holder I used the Hearts, Winged 3-D (Pop-Up) Sizzix die which I purchased from Ben Franklin Crafts. This die needs to be used with the Sizzix card base die. 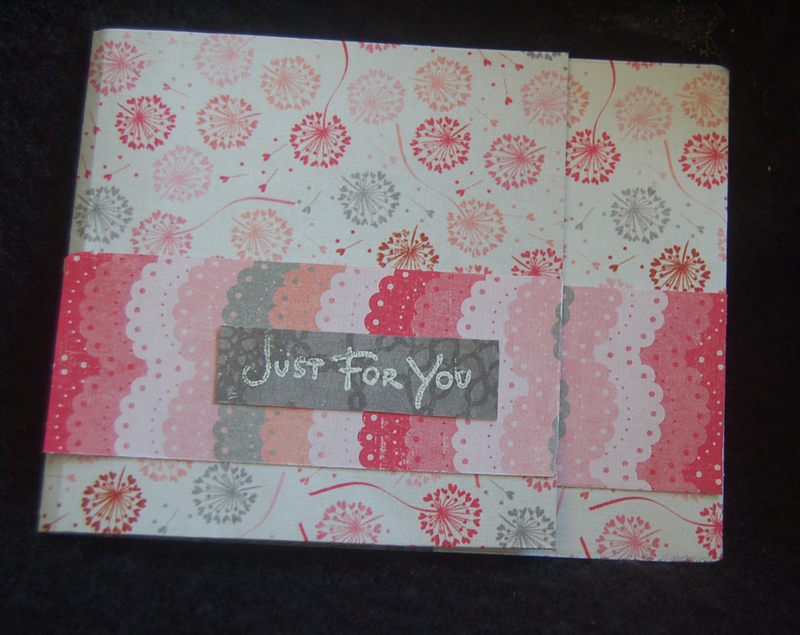 As in the previous card, I cut the 12x12 sheet in half and folded the right hand side over 2-1/4" to make a pocket. The folded edge was then placed just inside the cutting part of the die and the die passed through the die cutting machine..Four inches of the left side of the card was folded over. 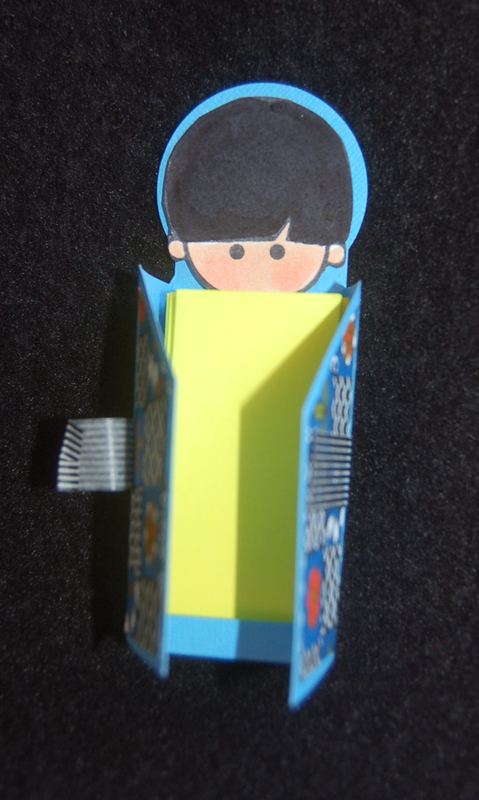 Next, the inside (the pop-up part) was cut from a different cardstock and trimmed to fit in the card base. 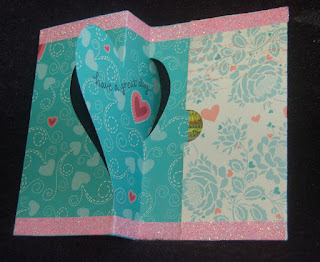 Punch the half circle on the pocket flap and tape down the pocket and inside of the card. The 'Just For You' was heat embossed on s piece of scrap and that plus other scrap papers were taped to the front of the card. 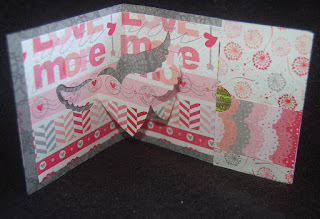 Even though these gift card holders are constructed from Valentine cardstock, they can be used for any reason or season you have for giving a gift card. These gift card holders are so easy to whip up; you'll want to make a bunch of these to keep on hand for quick gifts. Of course, Valentine's Day is a perfect time to let someone know with a gift card treat that you are thinking of them. 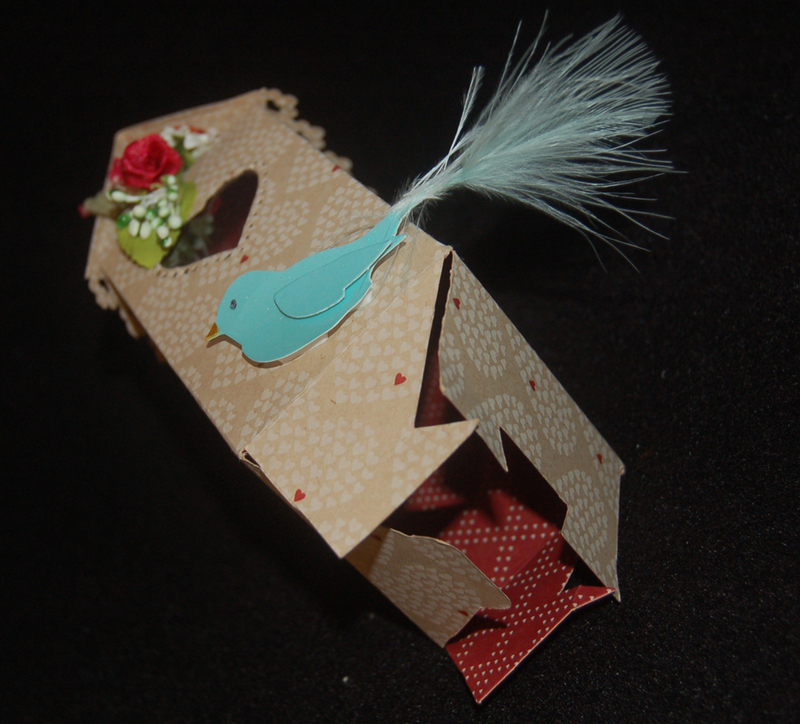 Craft and make someone special feel special. Thanks for stopping to read this blog post. I bought the Matchbox Big Pro die before Christmas, but I never found the time or need to make a treat box. I bet it could be crafted into a gift card holder for future Xmas gifts. Little Yellow Bicycle Valentine cardstock (purchased last year) was used to cut the outside sleeve of the matchbox and AC Cardstock Tropical textured paper was used for the box bottom. The girl image was stamped with a Magnolia rubber stamp and colored with Copic pens. 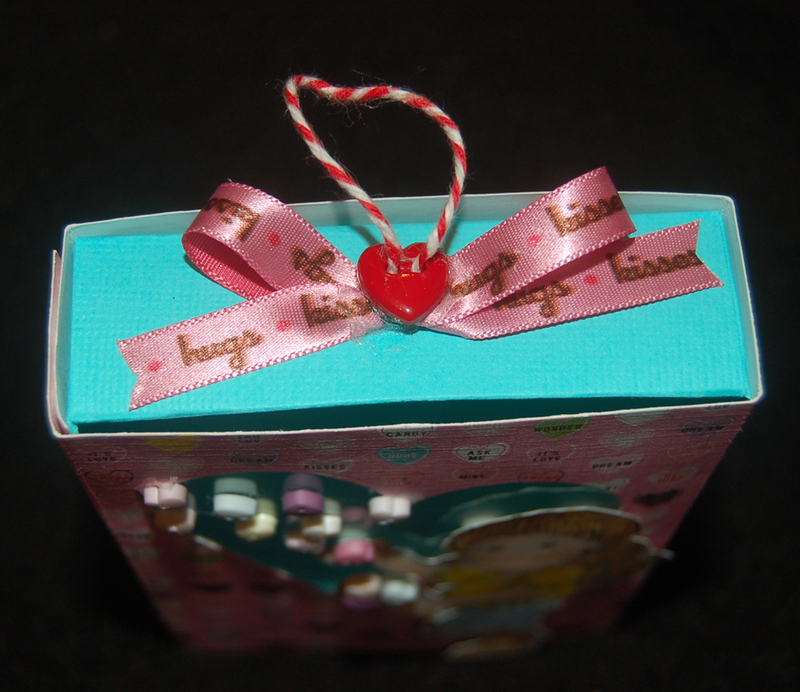 The treat box front was further embellished with Jessie James mini buttons. For a pull I tied some twine through a button heart and glued it to a Valentine printed satin ribbon. Oh, the heart shaped opening was cut using a Spellbinder thin die and a piece of acetate was taped behind it to form the window. 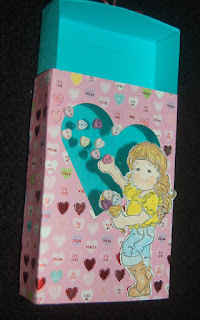 ( I used washi tape to hold the heart die onto the unassembled matchbox cardstock...learned this trick from Cheryl Miyashiro who writes the Life is Sweet blog and often appears on the Joy of Crafting show- Sunday 6:30 channel 12). Most of these craft products were found at Ben Franklin Crafts but if you can't find the exact item be sure to use your creativity to find substitutes....that's what makes you a crafter! Live a happy, crafty life!